Hello everyone! 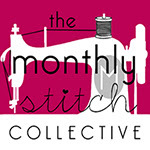 Today’s Sunday Sevens, created by Natalie of Threads and Bobbins, offers a few glimpses of my last week. These are bits of random fun that are not quite ready for their own post. 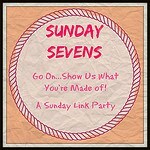 Why not pop on over to Natalie’s site to see what Sunday Sevens is all about; it’s fun and anyone can join in. My mom’s visit wrapped up with me spending a week with her in Sacramento, CA. We enjoyed lovely weather, including a very rainy day and night. Due to a long drought, Californians welcome any and all precipitation! 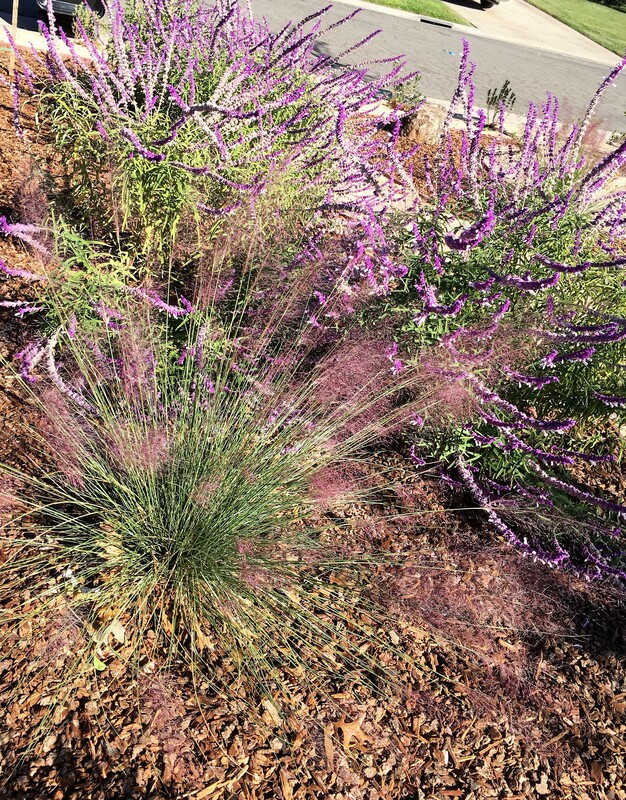 My sister and many of her neighbors have converted their water guzzling lawns into drought resistant sanctuaries for birds, butterflies and bees. While the peak color show for fall foliage is waning, there are still many bright yellow leaves around the neighborhood. 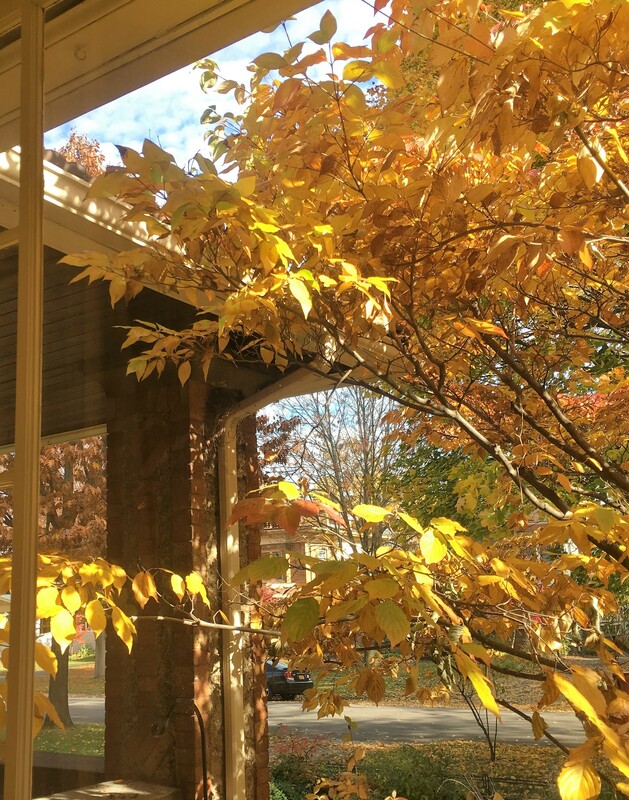 The sun shines through the tree outside my living room window bathing the entire room in gold, like a brilliant jeweled diorama created just for me. Tried on my WIP again, and even with all the nice meals and treats of late, my skirt slides on (and immediately slides right off) even with the zipper closed. That’s a good thing, but necessitated two extra darts. I basted them in and voila – skirt stays up! Will just take a few minutes to sew the darts, then the waistband and hem are all that remain. Skirt is due for completion tonight! Finally. 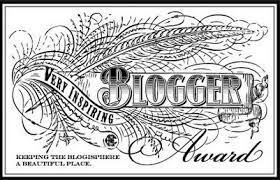 Barbara, of Zibergirl Sews had a giveaway…..and I was one of the recipients! What she calls a “token” arrived in my mailbox while I was away. I opened up the envelope to find an inner (very fancy) envelope, and this! An adorable little business card wallet. 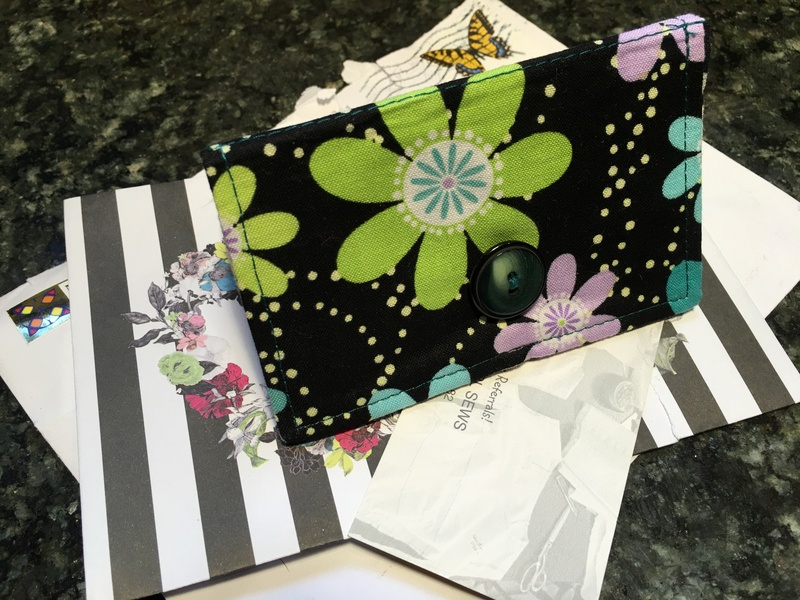 Black floral print on the outside, two different polka dots inside, lime green button loop, and a snazzy black button with green tint positioned right next to a big green flower. 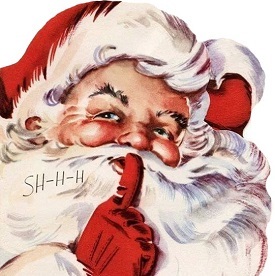 So cleverly done. Thank you, Barbara! 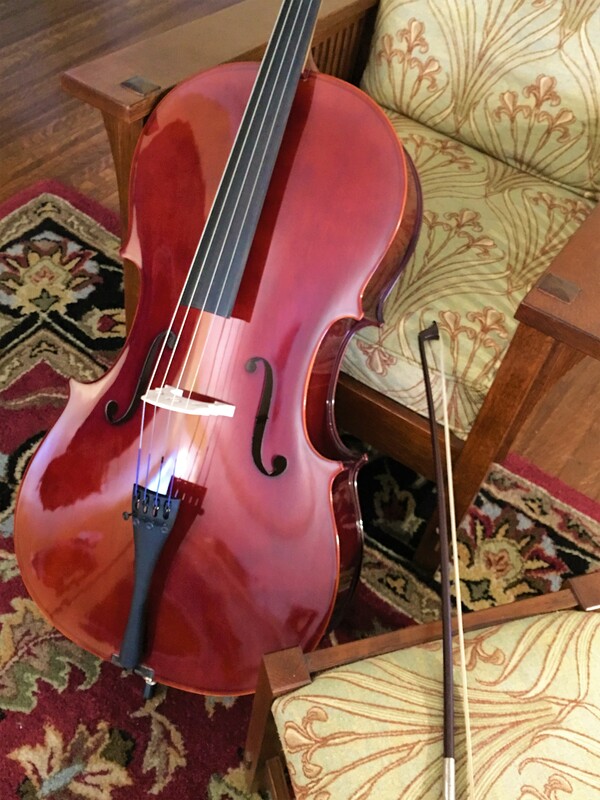 Some time back (probably a year or more) I mentioned to Mr. LTSB that I love the cello (I once was a flutist) and if I were to learn a new instrument, a cello it would be. Upon my return from CA, he ushered me into the living room where my birthday gift was waiting! What a thoughtful husband. My first lesson is tomorrow. Watch out YoYo Ma, here I come! So that was my week. Hope your last week was lovely and the next one will be even better!